Apologies if I'm breaking any rules, but I could not find anything online similar to what I'm experiencing right now. Never had any history of knee problems so I'm new to this... I'm a 28 y/o male. Background: About a year ago I was rockclimbing, and the particular route I was on had a weird starting position for my feet / hips. Sort of like this http://i.imgur.com/y2ydGex.png . While I was moving from that position, I felt something shift/pop on the right side of my left knee. No pain. Ever since then, every time I would squat down and stand back up my left knee would make an audible loud popping noise without any pain. It "felt" like there was a ligament or tendon like popping in and out of place, it was weird. Last night: I was rockclimbing again, and was in another weird position with a high left foot placement. 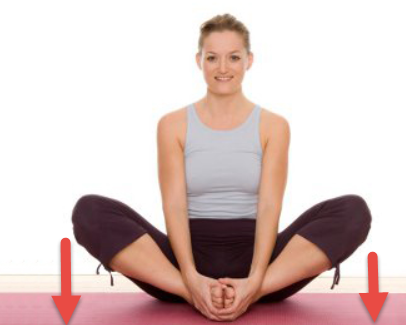 I basically had to do a pistol squat from this position, with my knee / hips rotated outward. I got another knee popping noise as usual as I stood up from the pistol squat. This time however, after I finished climbing my knee felt kind of weird. Slight pain, but mostly feeling sort of unstable. I did some squats to test it and was no longer getting the popping noise from my left knee. I decided I'd sleep on it and see how I felt the next day. Anyone have any ideas about what could be wrong? Do I need to see a doctor? Should I wear a knee brace? Is there good rehab/stretching routines that can heal or prevent this type of thing? Thank you anyone for taking the time to reply, I'm grateful. In the meantime, rest, avoid any heavy loading or twisting, if you have a tear you could make it worse. Thank you for the advice. I'll try to check today what options I have for knee specialists in my area. I went to a sports physician and he performed a bunch of different tests on my knee. He said the pain areas are indicative of damage to the meniscus, but everything else is fine. After a week and half, the pain isn't that bad in my knee any more, but I'm still weary about load bearing exercises.. The doctor didnt really have much advice other than recommending to not have surgery / put it off as long as possible and to just use different things for pain management. I don't consider that very useful because I'm interested preventing further injury/damage, not ignoring it and covering up the pain. I'm assuming rehab (or "prehab") work would be very beneficial... and I want to know if I'm just going to have to live with certain limitations in athletic activity. Is running okay? Biking? Sqauts? Yoga? Can rehab be done to a point to do these activities safely? etc. 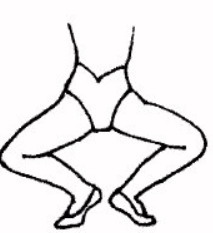 Most movement is fine right now, but if I try to sit into a deep squat position (think like asian or slav squat, or the catch position in olympic lifting) I get a lot of pressure and pain in that knee. Does that fit with the meniscus damage diagnosis? Or is there a chance this doctor missed something? see someone who has an ultrasound machine and get that used on it for massage. then take it easy by just walking heel toe if you have to think about it.